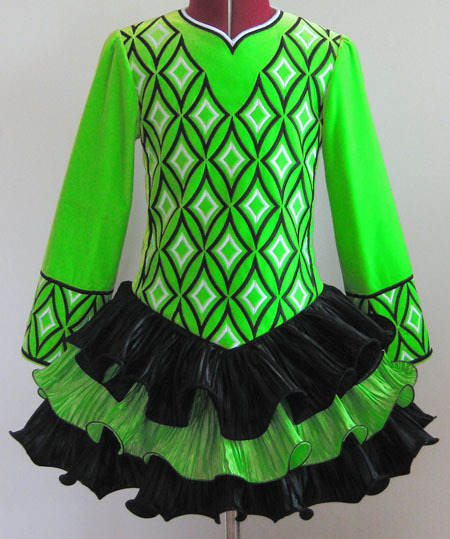 Lime velvet bodice and sleeves, with striking black and white geometric embroidery design. 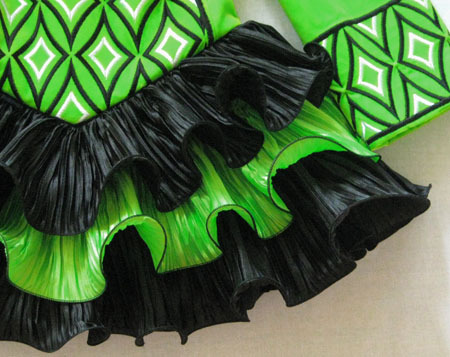 Adorable black and lime pleated cupcake skirt ruffles with black trim. 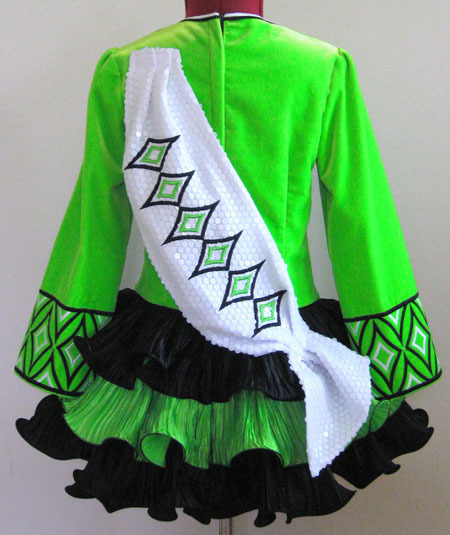 Adorable soft style shawl constructed from sparkly white sequin fabric with matching black and lime embroidery design. White, lime and pink striped skirt lining.